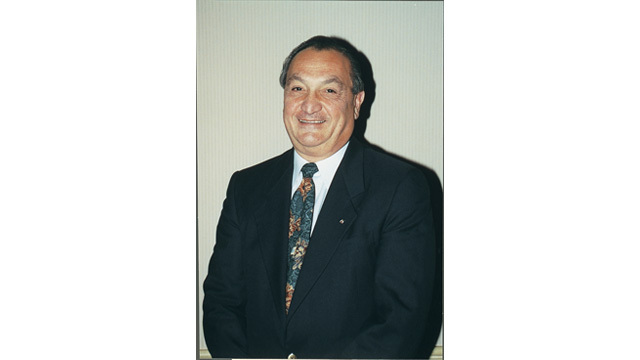 Jack Reiff, 85, an industry veteran who for many years specialized in providing ozone systems for laundries under the brand name, WET-TECH, recently passed away after an illness, according to a local news report. Reiff left college for military service during the Korean War in the early 1950s. Later he worked for Fairchild Aircraft and Grumman Aircraft on the design of aircraft components. He also worked at Brookhaven Laboratories working with atomic-particle studies, before opening a laundry and dry-cleaning business called “Cavalier Cleaners,” in Long Island, NY. In 1974, he moved to Worcester, MA, and received a BS degree in management from Worcester State University. He joined Diamond Chemical Co. Inc., where he served as a regional sales manager before launching WET-TECH. As a TRSA associate member, he served on the Government Affairs Committee and Innovative Technologies committees, wrote and contributed to articles on wastewater management and presented at TRSA technical meetings. Long active in affairs at his temple, Reiff was the Brotherhood president for 12 years at Temple Emanuel Sinai in Worcester. He also contributed to community organizations, including service on the Worcester Airport Commission, Hope Lodge, the Worcester Children’s Friends Society, Preservation Worcester and as commander of the Irving Yarock Post #32 of Jewish War Veterans. He enjoyed skiing and travel, including skiing in the European Alps. Survivors include a son, Evan Shepherd Reiff (Devatara Holman), Sausalito, CA; daughters Amy Reiff Vogler (Bill), Bethlehem, PA; and Debra Reiff, Santa Cruz, CA; a brother, David (Linda) of Maryland; his partner, Sheila Tarlin; plus four grandchildren and many nieces and nephews. Reiff was predeceased by his wife Phyllis. Funeral services were held on Jan. 25 at Temple Emanuel Sinai, with interment at Wellwood Cemetery, Long Island on Jan. 27. Memorial contributions may be made to Temple Emanuel Sinai Brotherhood Scholarship Fund, the Jewish War Veterans Post #32 or to the charity of one’s choice. Click here to learn more.